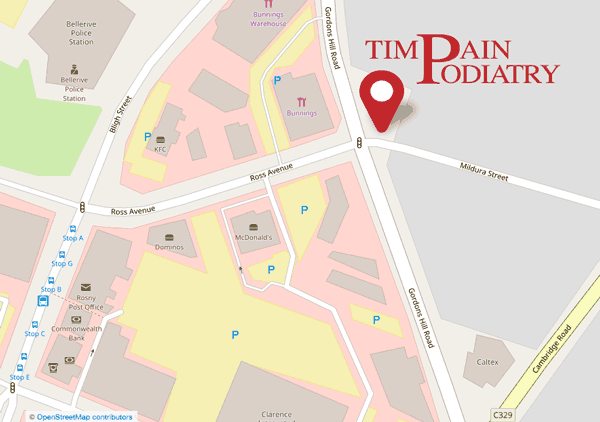 Our podiatrists perform comprehensive lower extremity biomechanical examinations and are highly trained at identifying abnormal variants that will contribute to injury or foot pain. The information gained from the examination will allow our podiatrists to tailor a management plan based on each individual’s biomechanical requirements. A treatment plan will often include one or more of the following: correct footwear prescription, stretching and strengthening programs, taping and splinting, insoles or prescription orthotic therapy. The exact treatment plan will vary depending on the individual’s biomechanical structure and their short and long-term activity goals. Foot orthotics are devices worn in shoes to improve foot function whilst reducing load on the structures of the lower limb. Abnormal foot movements increase forces on bone and soft tissues that lead to pain and injuries including Foot, Heel, Knee and Hip Pain. Our customized foot orthotics are manufactured onsite in our Orthotic Laboratory to the highest standards using both flexible plastic and softer EVA (foam) materials. Each orthotic is made to a customized prescription meeting the needs of the individual patient, the manufacture of the orthotics is then overseen by the podiatrist who prescribes the orthotic. Functional foot orthotics can be manufactured from a variety of materials ranging from plastic to soft foam. The appropriate material is selected after considering the foot symptoms, the activity of use, the footwear to be used, and other information gained during a biomechanical assessment. Unsightly nail fungal infections affect up to 10% of the population. 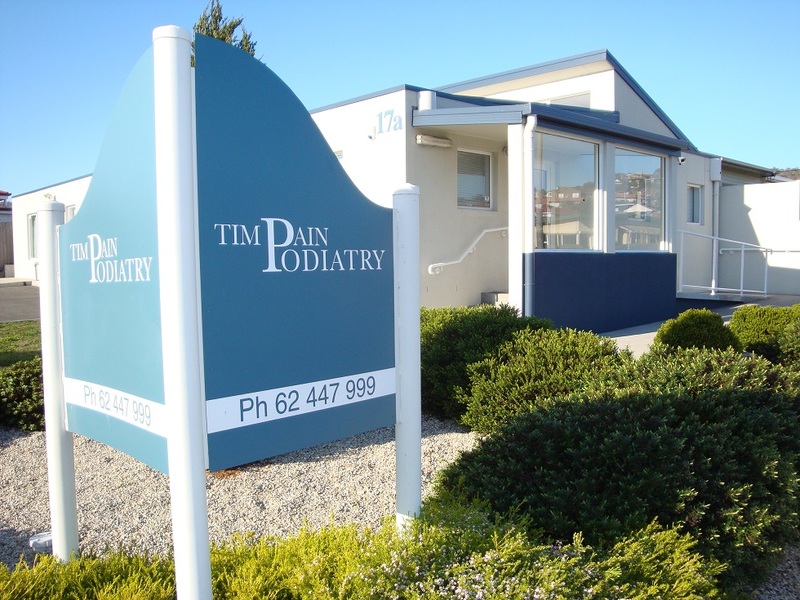 At Tim Pain Podiatry we now offer effective laser nail therapy for this condition which has previously been difficult to manage. 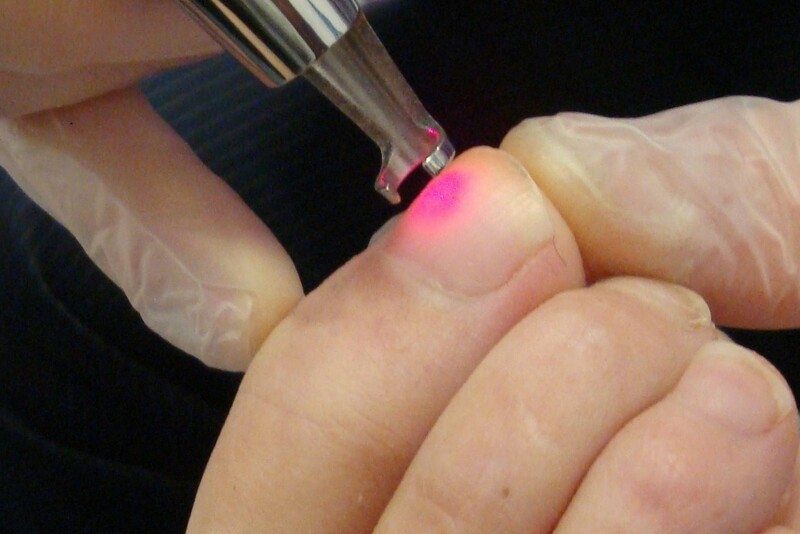 Safe – The laser energy passes through the toenail without causing damage to the nail or adjacent skin. Effective – Laser is much more effective than topical liquids. Cost Effective – Laser only requires 1-2 treatments, rather than the daily use of medications or liquids for 6-12 months making it very cost effective. Convenient – Unlike topical treatments nail polish can be used immediately after the use of laser. Children’s feet are different to that of adults. Whilst a child’s foot is growing and developing their bones are softer and contain growth plates, also their soft tissues have more elasticity allowing much more joint movement than an adult’s foot. Thus, they are susceptible to abnormal pressure and loads from daily activities. Early detection and management is the key to preventing ongoing problems with children’s feet. Radial Extracorporeal Shockwave Therapy (RSWT) is a non-invasive solution for chronic musculoskeletal pain. 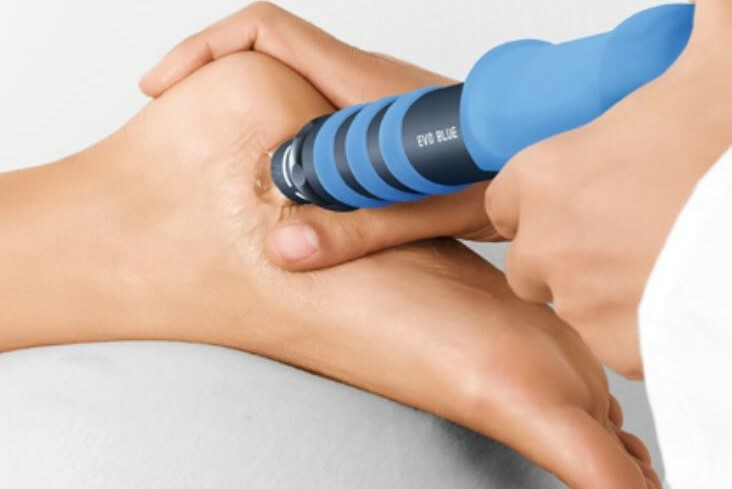 We use shockwave therapy successfully on Achilles tendonitis, plantar fasciitis, and other musculoskeletal disorders of the foot and lower limb. During treatment, series of acoustic waves are generated to stimulate a strong response in your body­­­ to heal an injured area. This results in improved circulation, a reduction in inflammation and reduction in calcium deposits. It also has an analgesic effect to the injured site which apart from feeling better helps to restore normal function. Dry Needling is used an effective way to help many foot and lower leg problems. It is particularly useful for resolving pain from musculoskeletal and neurological conditions relating to the lower limb. Dry Needling stimulates a sensory response from within the muscle fibres causing a release of the constriction and allowing normal muscle function. Minimal discomfort is experienced with Dry Needling because the needles used in this procedure are finer and solid, unlike other needles used to inject substances into the body. Dry Needling is commonly used to treat: Heel pain, neuromas, plantarfasciitis, Achilles tendon pain, shin splints and nerve pain. Our podiatry team have a focus on sports injuries. The foot is a complex structure and the demands of sporting and daily activities can cause many problems to occur within the foot and lower limb. 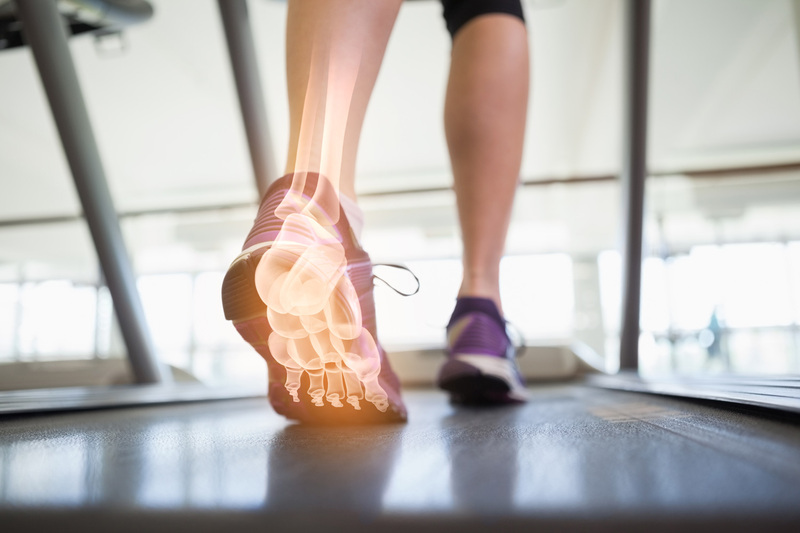 Through a comprehensive biomechanical and gait assessment our podiatrists can not only diagnose the problem but develop an individual treatment plan targeting the specific factors contributing to each person’s injury.We understand the importance of physical activity and strive to have our patients back to full activity and performing better than ever fully recovered. 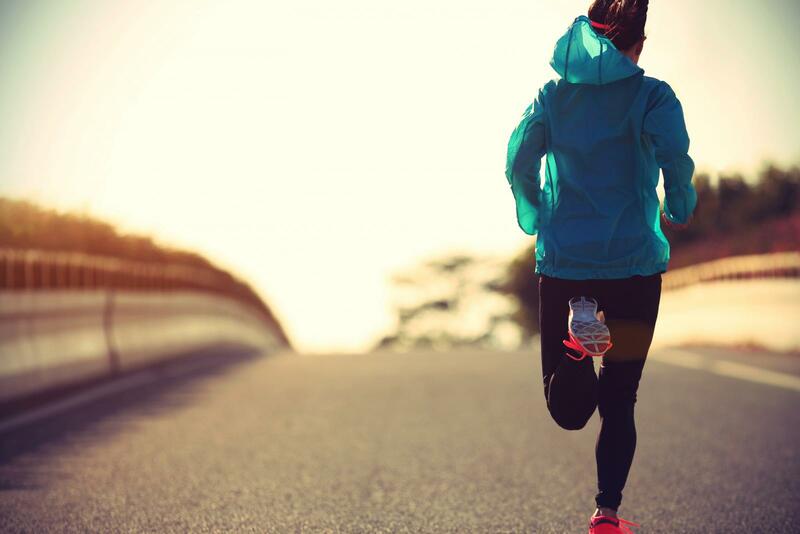 Some of the more common sports injuries that we deal with our: heel pain, shin splints, knee pain, Achilles tendinopathy, forefoot pain, flat feet. Early immobilization is essential if a broken bone is going to heal in the optimal timeframe without complication. 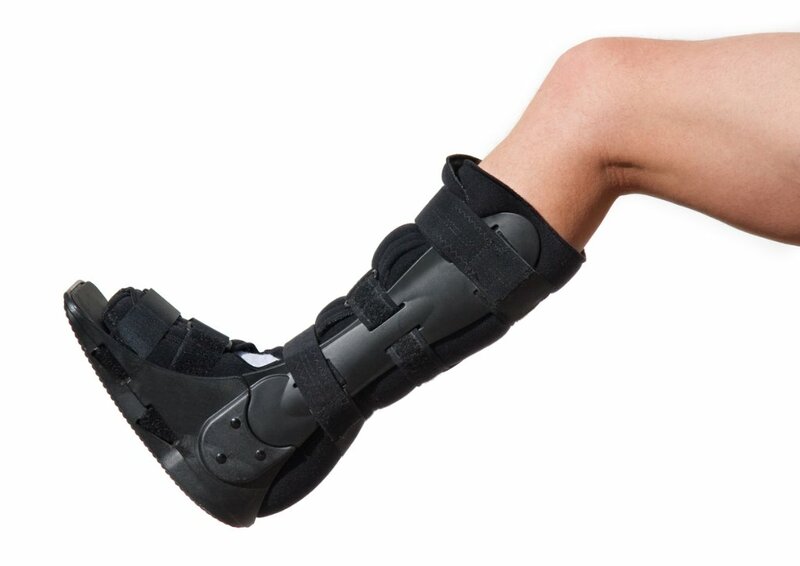 We carry a range of Controlled Ankle Motion Boots, also known as Moon Boots, in stock so there is no unnecessary delay in waiting for a boot to be delivered when an injury occurs. These boots are designed to protect the injured site, increase comfort and reduce swelling for people recovering from fractures to the foot, ankle and lower leg. If you have a suspected fracture notify our reception staff to ensure that an appointment is arranged as soon as possible. In the central business hub of Hobart’s Eastern Shore, at the intersection of Gordons Hill Road, Ross Avenue and Mildura Street.